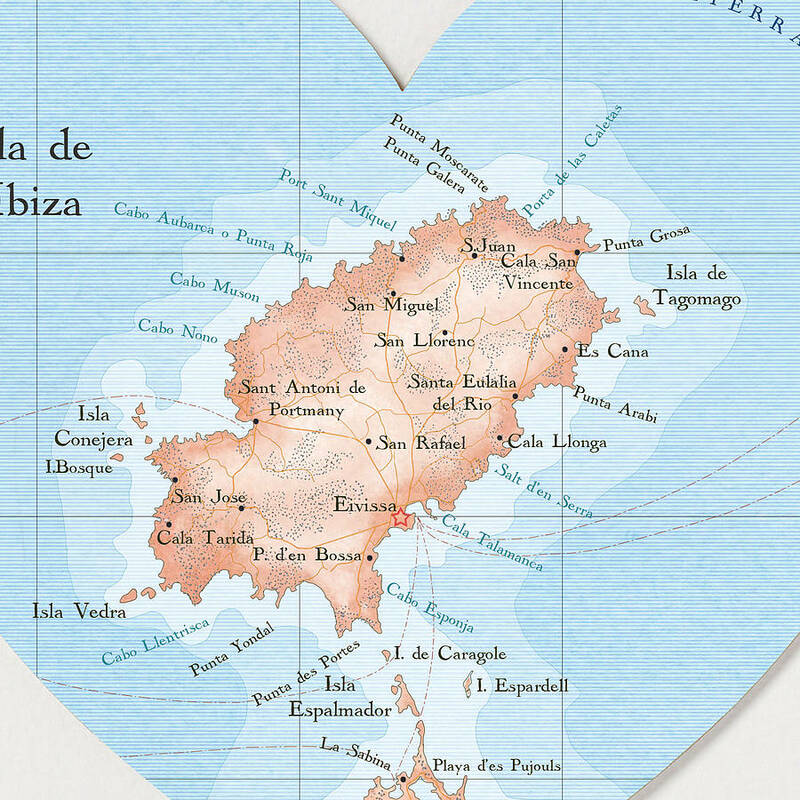 Map heart print of the party island of Ibiza in Spain. A great romantic Wedding Anniversary gift. A beautiful map of Ibiza Island. Featuring the whole island including the party towns of Ibiza Town and Sant Antoni, alongside the romantic coastal towns and beaches. Created using a mix of traditional watercolour and digital techniques. Sent to you carefully gift wrapped in tissue paper, with a gift tag for your own message. Personalise your frame by adding an engraved wooden tag. 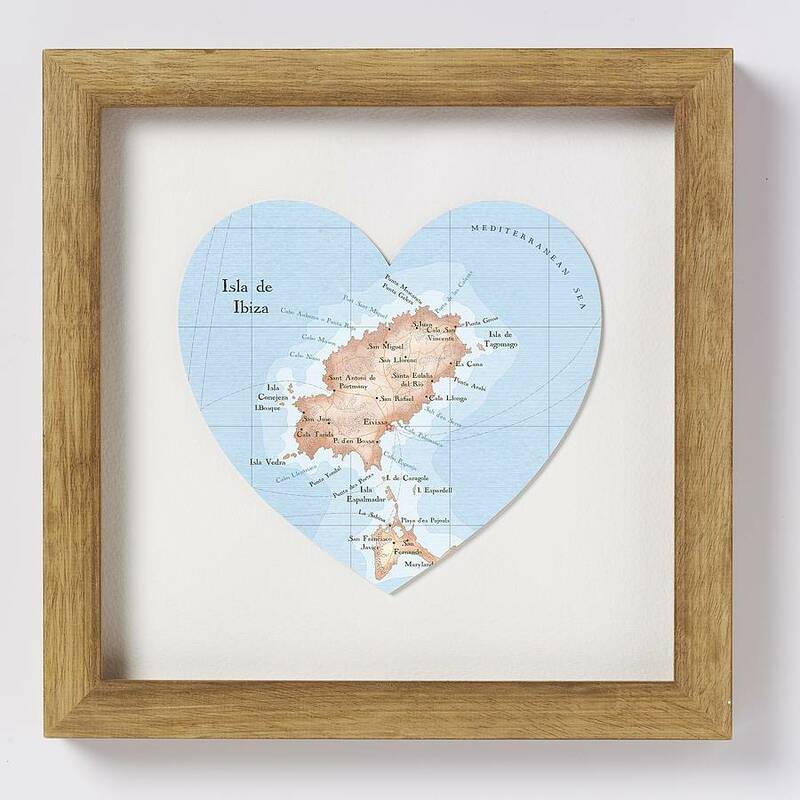 Available in a white or natural brown wooden box frame. 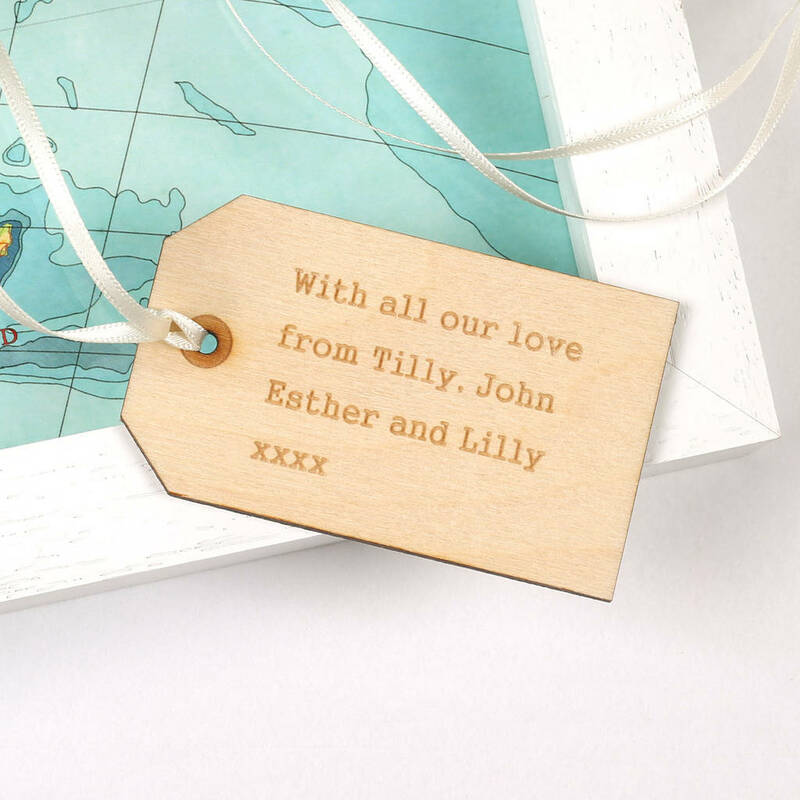 Personalise your frame by adding an engraved wooden tag. Available in a white or natural brown wooden box frame. 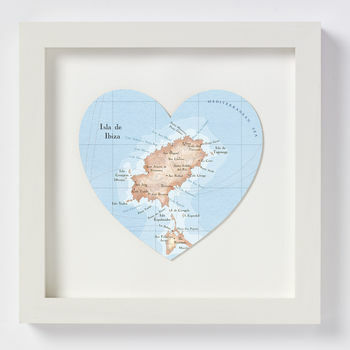 Made from printed map, paper and wood frame. UV Perspex protects the map from fading and glare.